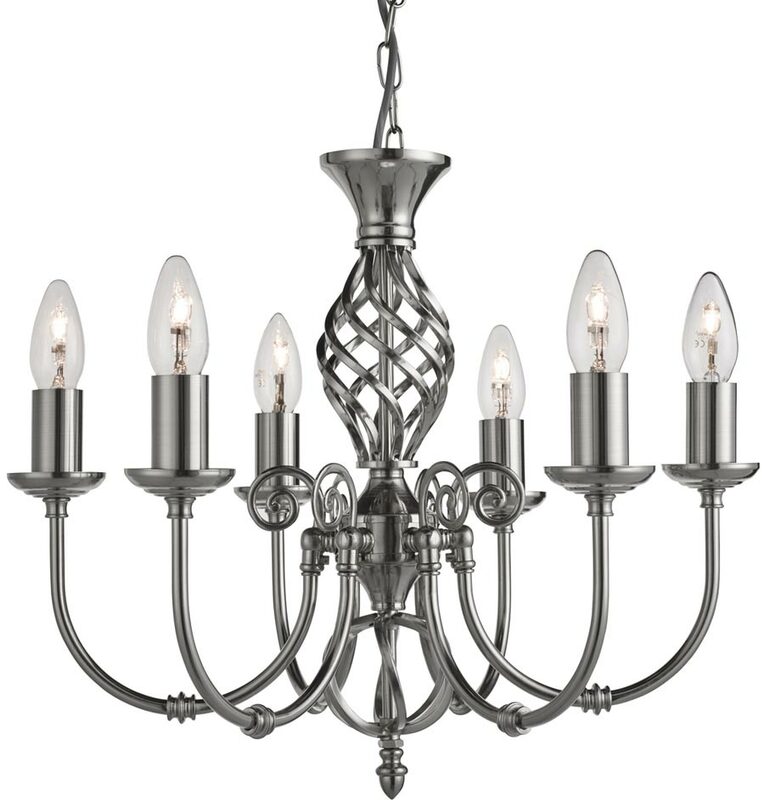 The Zanzibar satin silver finish wrought iron 6 light fitting features an ornate central column and candle style fittings. The perfect choice for over a dining room table, as a central light fitting in a living room, bedroom, hallway or landing. 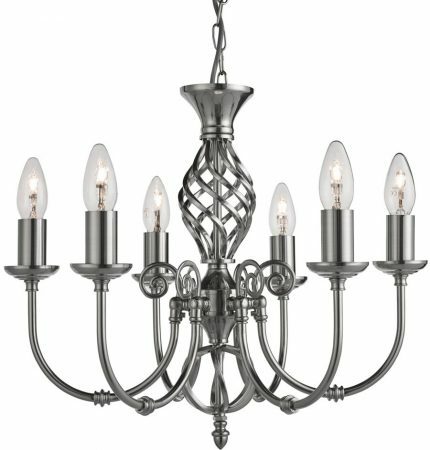 Satin silver ceiling mount and adjustable chain suspension, with open twisted metal column at the top and six curved arms decorated with scroll detail. Each arm features a metal candle pan and matching candle tube. A lower twisted metal column and finial complete the design. A great centrepiece ceiling light for any traditionally styled home. The sleek satin silver finish features intricate twisted metal above and below the centre of the column, with beautiful curved metal arms and six candle style light fittings. Height adjustable at the time of installation, please see the technical information below for exact dimensions. Please follow this link for the installation instructions. There are matching fittings available in the Zanzibar satin silver lighting range, please see below.